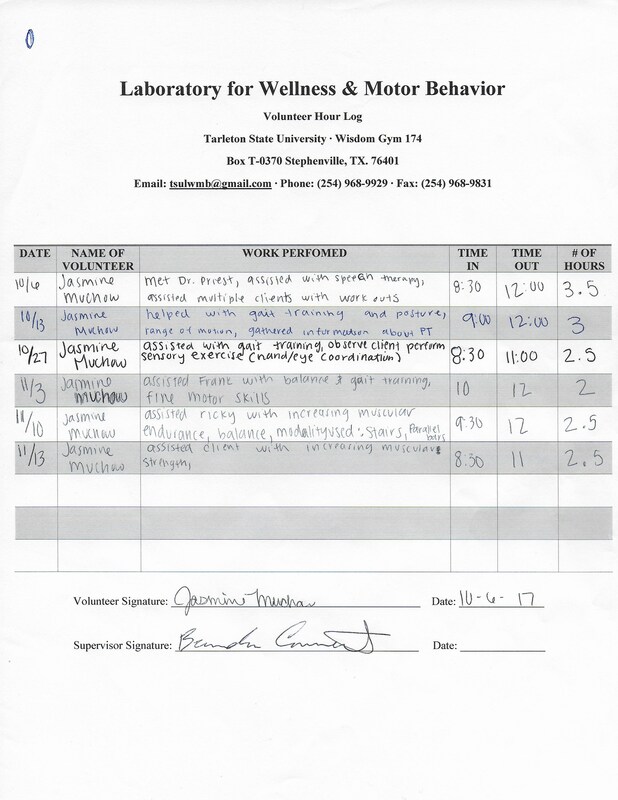 Fall 2017 I volunteered in the Laboratory for Wellness and Motor Behavior. This was the more rewarding 16 hours of my life. I worked with several geriatric clients assisting them with speech therapy, gait training, balance training, strength training and many other exercises. I talked with Dr. Priest gathering knowledge about what i can expect to do and see during my internship. I also talked with other students who have the same career plan as myself and learned more about how to stay on track to achieve my goal of becoming a Physical Therapist.